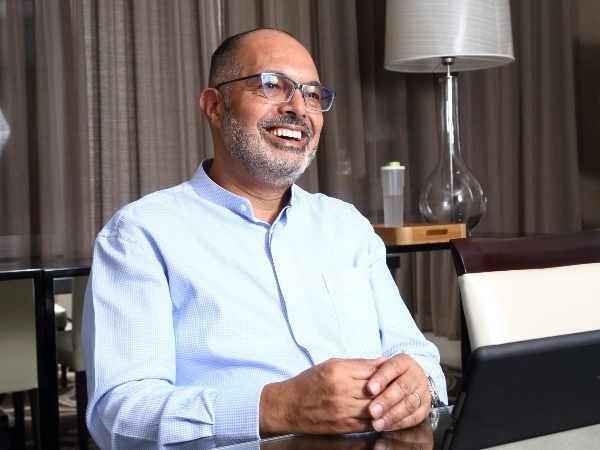 Edward Kieswetter is ready to roll up his sleeves as he takes over as head of Sars. He spoke to YOU about is road to the top job. He was having dinner with his wife when the call came from finance minister Tito Mboweni. 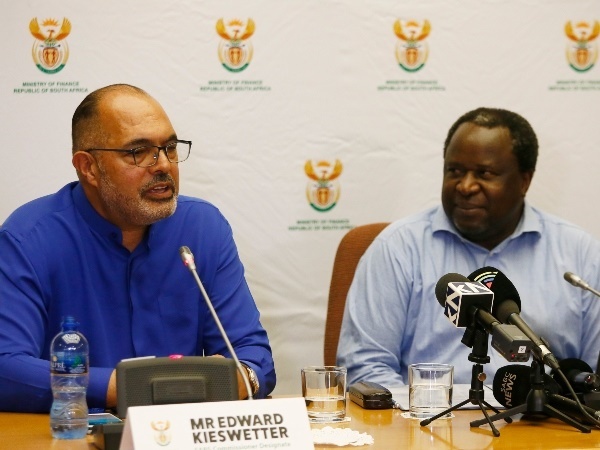 “You’ve got the job,” Mboweni said, and Edward Kieswetter graciously accepted. Difficult might be an understatement. As the new commissioner of the South African Revenue Service (Sars), Edward (60) has the daunting task of unravelling the mess in which the once super-efficient institution finds itself. “So much has been broken in the past four years,” he says. Under disgraced commissioner Tom Moyane, Sars recorded a minimum of R142 billion in uncollected tax and saw an exodus of skilled staff. So can Edward fix the mess? If his CV is anything to go by, Sars has hit a jackpot. Jobs he’s held include being generation and power station manager at Eskom (where he was named boss of the year in 1999); senior executive and director at First Rand Group; Sars deputy commissioner under Pravin Gordhan, and, most recently, group executive at insurance and asset management company Alexander Forbes. And he’s up for it, he says. While his appointment was widely welcomed, it was also met with disdain by the EFF, who labelled it nepotism. Former finance minister Trevor Manuel – who was on the selection panel – hit back, calling the EFF racist for inferring he appointed Edward because they’re both coloured. But Edward refuses to comment on any of the criticism. He says he’s looking forward to reconnecting with the staff at Sars and giving the public “a sense of hope”. Top of his to-do list will be addressing delinquent taxpayers and closing the revenue gap “without fear or favour”. He appeals to the public to hold him accountable and ensure he delivers on his promises. “I don’t have a sense of entitlement,” he says. An engineer by trade, Edward has made many career moves, but in his heart regards himself a teacher. He’s a visiting professor and president of the Da Vinci Institute, a school of business leadership in Modderfontein, Johannesburg, as well as a visiting professor at the Uni- versity of the Free State. He was also a lecturer and head of the engineering department at Athlone Technikon in Cape Town from 1984 to 1991. While the new Sars boss lives on the ninth floor of an upmarket apartment block in Sandton, he wasn’t born with a silver spoon in his mouth. His late father, Edward Snr, was a labourer at the Cape Town municipality and his mother, Jocelyn (80), was a seamstress and domestic helper. “We were poor, I tell you,” he says. “I know what it’s like to go to bed with nothing but a little bowl of pap or slice of bread with sugar sprinkled on it. He started to realise education would be his ticket out of poverty when the department of coloured affairs visited his school to conduct IQ tests when he was in Standard 3 (now Grade 5). Edward held onto those words and started to dream of distinctions and degrees – but harsh reality brought him back to earth after matric when he couldn’t study further. He picked himself up and went to work as a labourer, attending night school to improve his maths and science marks. In his spare time he made things. He went to Athlone Tech to study engineering, then to the Cape Peninsula University of Technology. Finally, at the age of 26, he graduated from the University of Cape Town. “Tears rolled down my cheeks as I walked up the Jameson Hall steps,” he recalls. “I remembered the words, ‘This boy will one day end up at university’.” Today he has three master’s degrees: in business administration, science education and commerce. Edward met his Singaporean wife, Frances Dydasco (52), when he was travelling the world as an Alexander Forbes executive, commuting between Singapore and Joburg. “But I have to tell you I’ve failed miserably at the project of retirement,” he says. His life is a little more balanced now, however, he says. Frances, an asset manager, spends two to three weeks in South Africa at a time and Edward visits Singapore as often as he can. “Frances is a bit of a geek and a nerd, like me,” he says. The couple love playing Scrabble. “She enjoys beating me on the odd occasion,” Edward says. Between them they have five children from previous relationships: his sons, Lance (35) and Matheu (33), and Frances’ kids, Sophia (20), Cameron (19) and Anusha (16). Lance and Matheu both studied music and Lance is now a music educator and neurofeedback trainer, while Matheu is an educator and conductor. 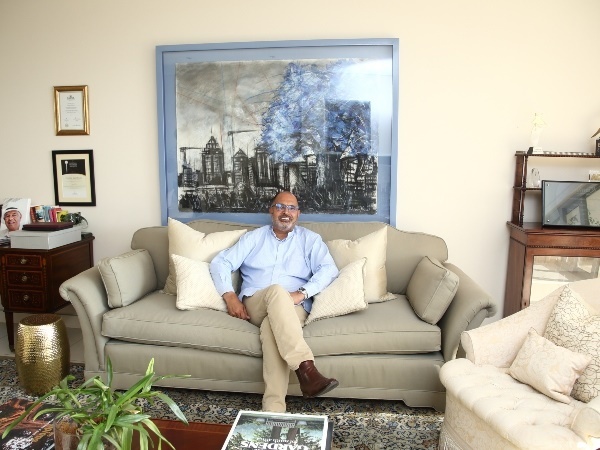 The news Sars boss, who has the brain of an engineer and the hands of a handyman, hasn’t lost his love of making things. When the family were living in Bedfordview, Gauteng, he built a wine cellar and a staircase. “I hired labour but one day I came home and they told me they couldn’t build a staircase, so I put on my overalls and said, ‘Let me show you how to do it.’ And I built the wine cellar because I love wine.” He also loves cooking – something his mom taught him – and enjoys making curries. South Africa has come a long way since the dark days but there’s plenty of room for improvement, he says. Which is why he’s calling on people to contribute to the society they want for themselves and their children.